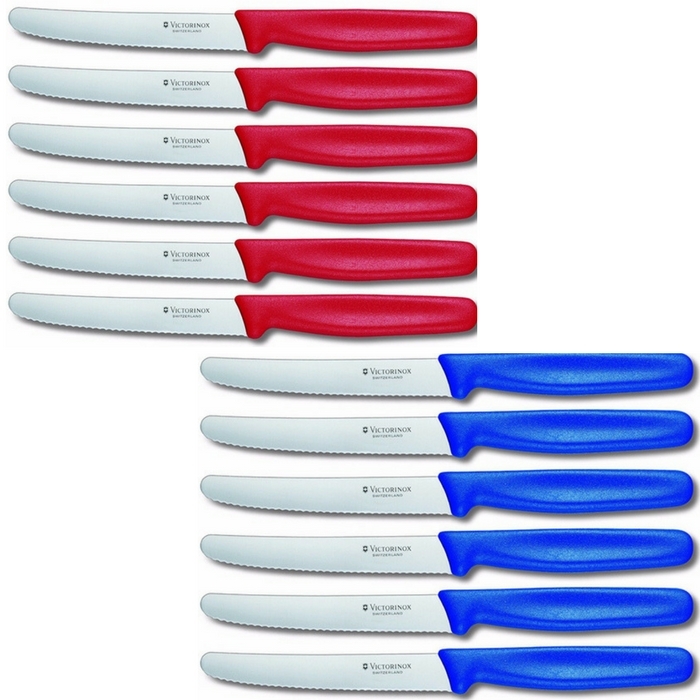 6-Piece Swiss Steak Knife Set Just $29.99! Down From $50! PLUS FREE Shipping! You are here: Home / Instagram / 6-Piece Swiss Steak Knife Set Just $29.99! Down From $50! PLUS FREE Shipping! 6-Piece Swiss Steak Knife Set Just $28.99! Down From $66! PLUS FREE Shipping! This is a great addition to your kitchen tools! Go to Tanga and grab the 6-Piece Swiss Steak Knife Set for just $28.99 down from $66 PLUS FREE shipping! RH Forschner by Victorinox is the knife of choice for professionals and consistently receives high accolades in product testing. This best-in-class commercial grade cutlery is now available for home use. RH Forschner by Victorinox knives feature high carbon, stainless steel blades, hand finished at Victorinox in Switzerland by skilled craftsmen. A special tempering process is used to produce an edge that can be resharpened over and over again, so the knife can keep its original sharpness throughout the entire life of the blade.